AS a marketer, you want to connect with your audience. You want customers and clients to think your brand is friendly, approachable, and easy to work with. So when your manager comes in and suggests increases in automated efforts, you’re skeptical. How can a human connection be automated? How can you make customers trust you without personal emails and phone calls? You shouldn’t use automation just because some online marketing expert told you it was a good idea. You should use automation to fill existing gaps, and as a time saver so that you can focus on more big picture initiatives. Take a look at your marketing process, and see which activities (particularly ones that you do over and over) could be automated. 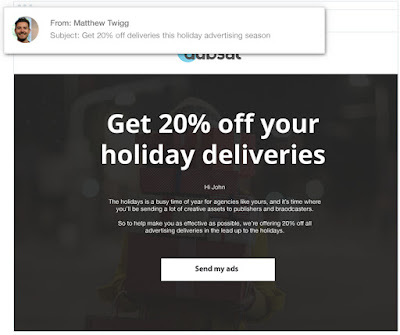 It’s easy enough to automate email marketing efforts, and you can use automation to send high-performing personalized campaigns. According to Campaign Monitor, emails with personalized subject lines are 26% more likely to be opened, and Experian reports that personalized emails deliver 6x higher transaction rates. Email service providers like MailChimp, Campaign Monitor, and SendLane offer integrations and APIs that allow you to pass data from your CRM or ecommerce platform directly to your email lists. 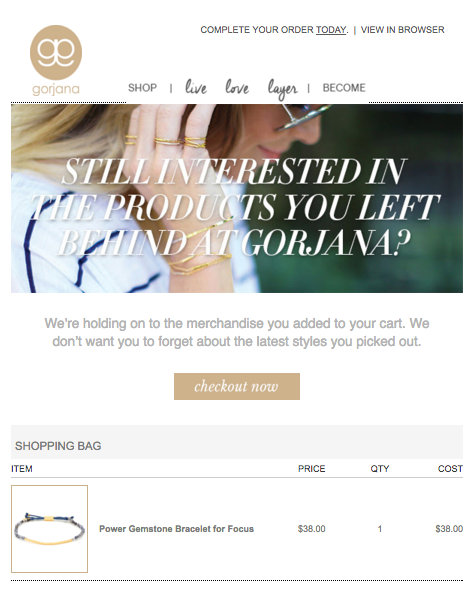 You can setup automated emails so that every time a customer makes a purchase, or adds something to their online shopping cart, they automatically get a personalized email. A personalized, automated email from Gorjana encouraging purchase completion. Automation is not a barrier between you and your customers. Instead, it’s an open door. Each time customers receive automated messages, you can encourage them to contact you if they have any questions. If you send an email, tell customers to simply reply back with any concerns. You can put links to your brand’s social media pages in your emails so that customers can connect with you. 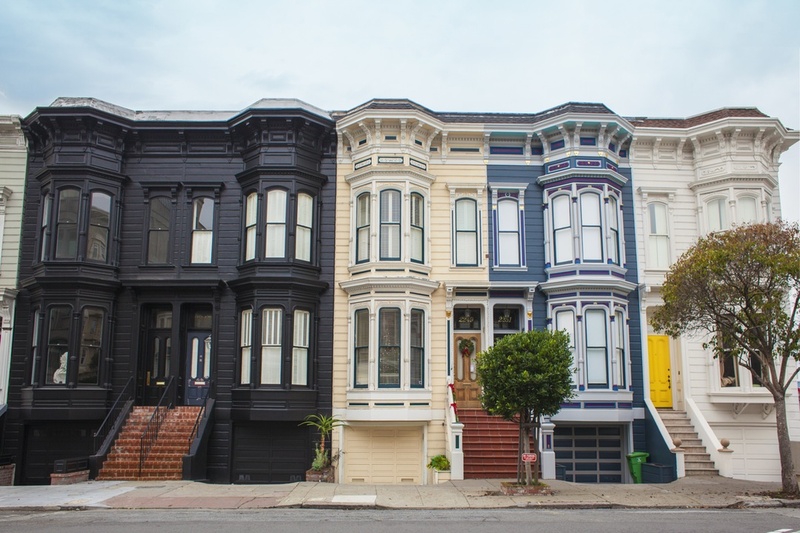 For example, if you’re interested in buying a new home, your real estate agent can automate daily emails for the latest MLS listings based on your criteria. At the end of the email, the agent will provide their name, phone number, and email address so that you can get in touch if you see a property of interest. The agent is consistently providing you with information, while still encouraging you to get in touch. 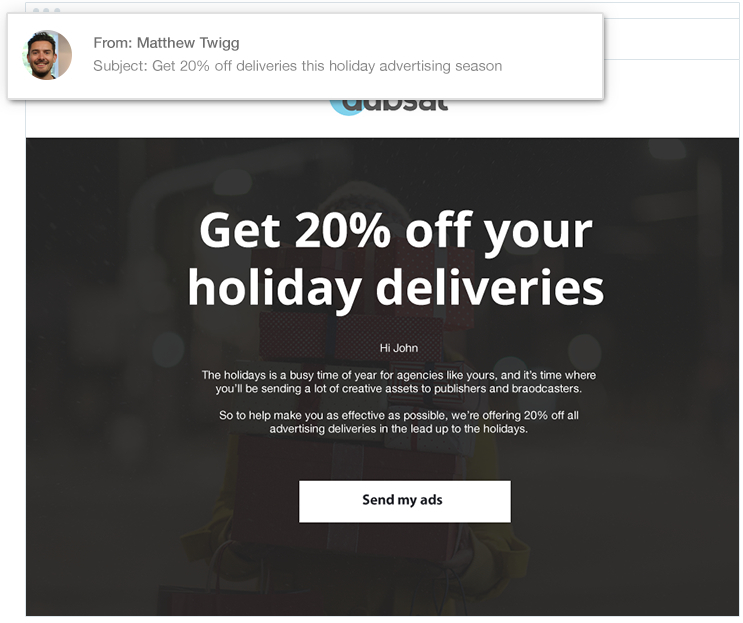 Some companies, such as Dubsat, use a custom “from name” in automated emails, so that the emails feel personal. Dubsat goes as far as to send the emails from the individual’s account executive. Today’s tools make it easy to automate email, social media, advertising, and content marketing efforts. The key is to assess where your brand has gaps, and fill it in with deliberate automation that prioritizes a personal touch. If you automate your online efforts, you can save time, increase efficiency, and provide customers with a more comprehensive and fulfilling experience. Automatic doesn’t mean robotic- use these tips and tactics to create automated marketing that feels personal. 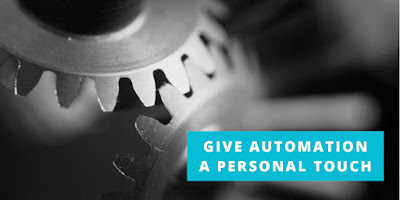 Your turn: What’s your experience been with automation for online marketing efforts? What are your struggles, and where have you seen success? We’d love to learn about your experiences, so we can share your insights with our readers.